I'm unsure what I think of this book... The writing style in the first few chapters just cried out that this author was fairly new to writing books. I found a few things quite repetitive and poorly written, almost as if she struggled to get her point across, so the flow of the book was very rocky. As I got deeper into the book, I found this to disappear, not completely, but almost. I then decided to do a quick search on who the author is and I realized it was the wife of Tom from Mcfly. The actual story I really enjoyed.. **Plot Spoiler** - It begins with 3 children; Robert, Ben and Maddie who are the best of friends. They grow up together and are practically attached at the hip. From day 1 a small 9 year old Ben develops a crush on Maddie that, as they years progress, turn into him falling in love with her, however everyone else is oblivious. As part of their French class, they all visit Paris for a few days. Ben plans to use this time to confess his undying love for Maddie, and chooses the Eiffel tower to do it at. However unfortunately, Robert and Maddie share a kiss whilst on the trip, and it crushes Bens heart. As time passes, Robert and Maddie become and item and Ben struggles with the once trio now including a loved up couple. He feels a spare part and knows things will never be the same again. They all do their A-Levels and head off to uni. However it is Ben and Maddie that go to the same university, leaving Robert to embark on his journey in another part of the country. Maddie and Robert still stay together however it is Ben that looks after Maddie after drunken fuelled nights out, ensuring she makes it to her own halls of residence. During their first year at uni, Robert confesses he had a one night stand with a girl, and it crushes Maddie. She leans on Ben for emotional support, and it is here that he tells her his love for her. They share a moment of passion and from then on the spark is there between them, and she realizes that she too has feelings for Ben. Unfortunately for him though, Maddie soon returns to Robert. Bens frustration causes him to sleep with a girl at a house party which Maddie finds out about and is distraught. Ben ends up in a relationship with a girl, purely to block out the feelings that he has for Maddie. The trio now becomes a 4 but the relationship is based on false hope. A few years later Ben secretly finds out that Robert is due to propose to Maddie. Not being able to handle his emotions any more, he jumps in head first and asks Alice (his girlfriend) to marry him, in hope that it would postpone the proposal to Maddie. It worked, however Ben knew he was engaged to the wrong person, and as Alice began wedding planning, Ben called the wedding off and they parted. A year later, Robert eventually proposed to Maddie. They both get married and the epilogue of the book fast forwards a few more years to where both Robert and Maddie, and Ben and his new wife Kate have a child. They are dropping them off at their first day at school, and Bens little boy is taking a liking to Maddie's little girl, and they hold hands as they run off into the playground. Holding hands is a prominent part throughout the book. From day 1 at 9 years old, Ben used to hold Maddie's hand and squeeze it 3 times. The 3 squeezes symbolized the words 'I love you', however no one knew except Ben. He did this right through his teenage years until he confessed his feelings to her. The hand holding has now been passed down to their children, which insinuates that the children will take on a similar journey to Maddie and Ben. The final words of the book implies Ben has never fallen out of love with Maddie, and never will but he has learnt to love again. I think it was such a sweet storyline, and bits I could relate to, especially during their uni times - I built up the scene in my head and related it back to images from my uni life. 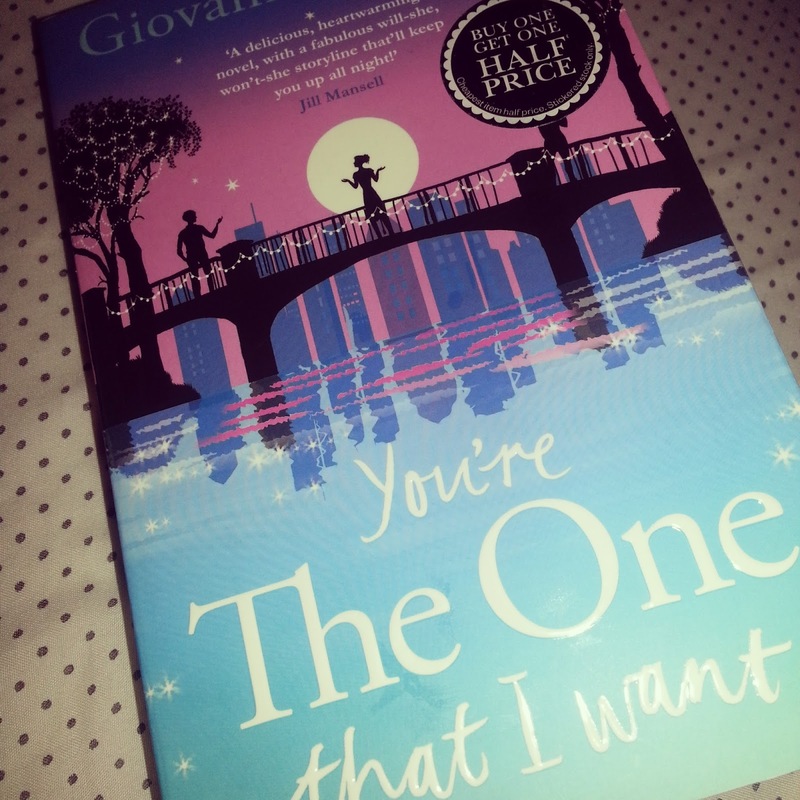 An all round good chick lit, although let down at the beginning by the writing style.